Achieve a Graduate Degree at a Top-Rated University With a reputation and proven track record as one of Illinois’ leading business schools and roots in higher education dating back to 1913, Robert Morris University Illinois is a natural for providing graduate-level degrees that are in tune with the needs of both students and employers. 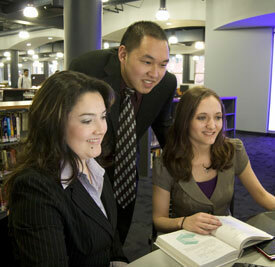 RMU’s comprehensive curriculum is supported by staff and services built around ensuring student success, while still providing options that make earning your master’s degree very attainable. 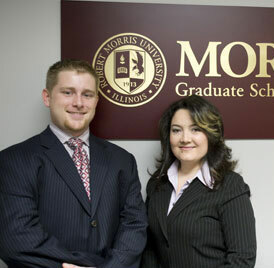 Read below for more information or click here: https://robertmorris.edu/masters/ Robert Morris University has committed significant resources exclusively to the Morris Graduate School. From the conference-style classrooms, technologically enhanced labs, expert instructors, and dedicated staff, we have created a first-rate graduate environment built around your success. Our programs expand on the foundation you built while earning your bachelor’s degree, elevating your skills and abilities with real-world applications you can immediately put into action.